We joined with the most popular and biggest MTB series Bike for life. This unique series has been offering races for all age categories all over the country for 14 years. 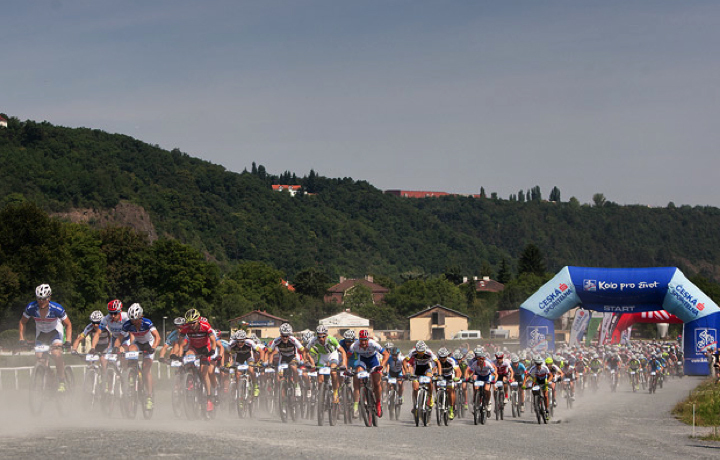 Every year, more than 20.000 active cyclists participate it and can compete with the best Czech bikers as well as friend or colleagues. 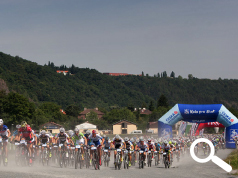 We agreed on strategic cooperation with Ceska spořitelna (largest Czech bank, part of Erste group) who is the main partner of this series, to prepare promo offer for their new and existing customers at selected cycling events. We host all cyclists in Ceska spořitelna zone. Our first common event was last Saturday Karstejn Tour 2014 taking place in Prague and its surroundings. All riders were surprised by technical and hard track, not usual for any capital city. The lineup was again really strong including Olympics participants and World Cup riders. We could see spectacular finish in the men category, can be easily compared with Champs Elysees sprint last Sunday, between the winner Jan Skarnitzl and his contenders. In the women category, Europen XCM champion Tereza Hurikova confirmed her great shape this season.